This weekend I was blessed with a trip to Women of Faith. It was nice. Sometimes it was difficult, because my pain saga continues to challenge me. I have found that through this journey of illness, my heart is seeking more. More depth. More honesty. More love. More relationship. Really, my heart wants more and more of God. 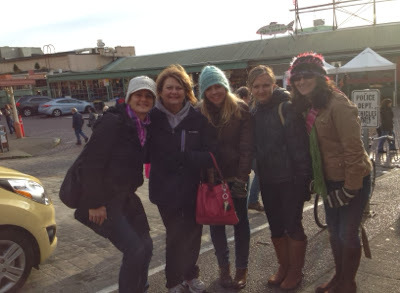 We also went to Pike Street Market. We sat by the water and ate dinner. We had grilled salmon, fish taco's, and pumpkin sausage soup. 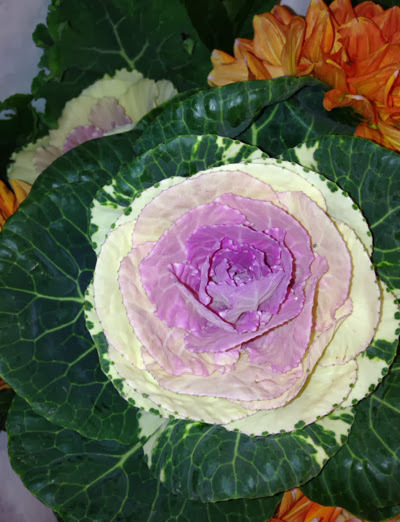 We cruised the Market and my favorite thing was the cabbage rose. The sights, sounds, smells, basically everything made me want to live back in the city. But, I live in the country, and it is peaceful there. Today, we visited church. For me, I needed to be in church and just listen. God continues to remind me that He is Faithful. As I journey through life with my Faithful God, I also pray to be a Faithful and true woman of God. Jesus, thank you for being Faithful through all things. Thank you for giving me weekends with good reminders of Your Faithfulness. I'm going to Say That Again, Jesus, You are Faithful.